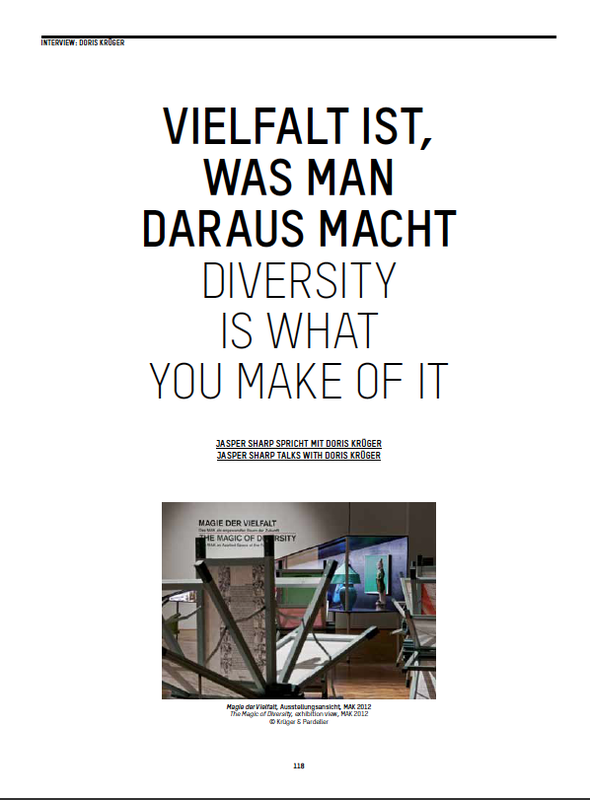 In February, 2012, the MAK presented The Magic of Diversity: The MAK as Applied Space of the Future, an exhibition reinterpreting its collection from new perspectives—in collaboration with the artist duo Krüger & Pardeller. The project gathered objects from all of the museums different departments and collections in a single exhibition and space. A month after the exhibition Doris Krüger sat with Kunsthistorisches Museum curator Jasper Sharp to reflect on the process and its results.